H. C. Silvestre (1845 - 1913) was nephew, pupil, and successor of Pierre and Hippolyte Silvestre in Lyons. He trained initially in Mirecourt before joining his uncles and taking over the business in 1865. He settled in Paris in 1884, and gained the reputation of being both an excellent maker and a keen connoisseur. At his death, his partner Ernest Maucotel took sole charge of the house now situated in the rue de Rome. 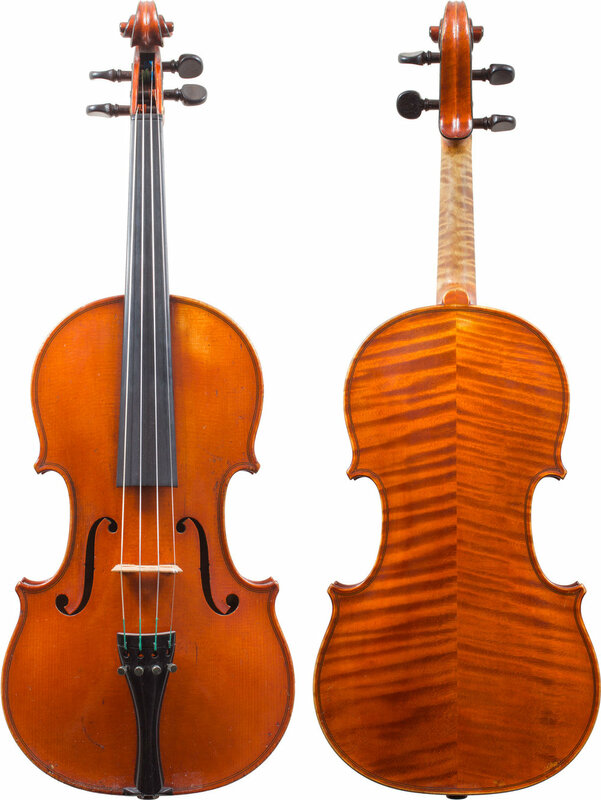 This violin exhibits a very warm, even sound and is in an excellent state of preservation.